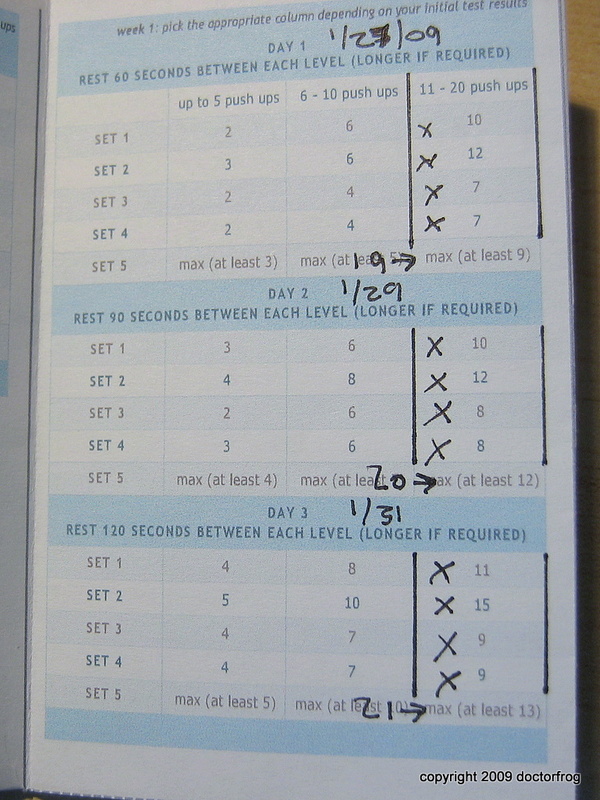 Briefly, I did five sets of pushups, of decreasing amounts, with 60 second rests in between each. I’m guessing this is set up in decreasing fashion so that I don’t overexert myself. 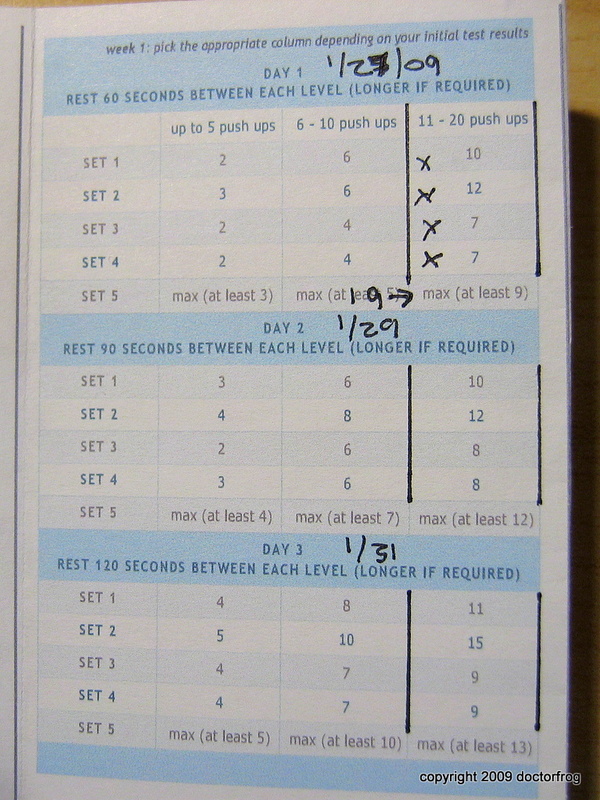 Incidentally, I’m pairing this exercise with an hour of walking 3-4 times a week. 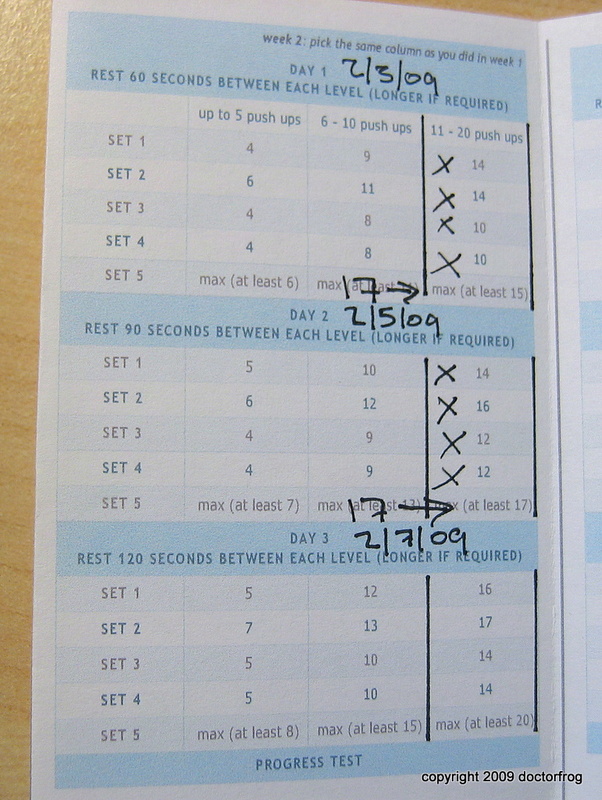 Again, nothing spectacular, but any exercise is good, or so I remind myself.